Convenient and delicious and ideal for when the fresh isn’t available, been blast frozen to keep that day fresh taste, come already skinned and boned and is the best and part of the cod fillets. Does contain bones and will have skin on. Convenient and delicious and ideal for when the fresh isn’t available, been blast frozen to keep that day fresh taste, this is a mix of black and white skin, can not be one or the other. Convenient and delicious and ideal for when the fresh isn’t available, been blast frozen to keep that day fresh taste. Convenient and delicious and ideal for when the fresh isn’t available, been blast frozen to keep that day fresh taste, this is a creamier alternative to cod or haddock with a wonderfully firm texture. 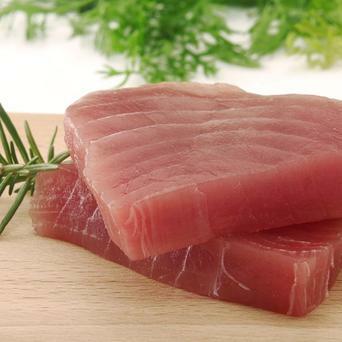 Convenient and delicious and ideal for when the fresh isn’t available, been blast frozen to keep that day fresh taste and is still rich in Omega-3 fatty acids, it also has a wonderful meaty taste and texture. Convenient and delicious and ideal for when the fresh isn’t available, been blast frozen to keep that day fresh taste, a distinctive, creamy flavoured fish. Only comes frozen, a pale, meaty, firm fleshed fish, Similar to pork this fish is very filling and needs little accompaniment. Only comes frozen and is a very meaty fish with a very distinct flavour. Only comes frozen, jam packed full of important nutrients such as omega-3 fatty acids, protein and calcium, and comes to you whole and not gutted.